What is a challenge to a Will? A challenge to a Will is a dispute regarding the integrity and validity of the will itself. a person entitled to benefit if no will existed. 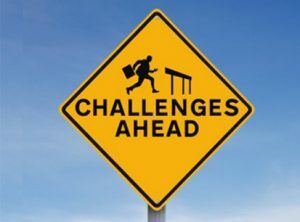 When may a Will be challenged? there are suspicious circumstances surrounding the willmaker’s signing of the will. What do possible grounds for Challenging a Will look like? Undue influence on the willmaker has long been a concern. The influence is deemed undue when there has been a certain amount of coercion on the willmaker. Coercion in the context of undue influence can be in the form of violence or simply a small amount of pressure which induces a willmaker to make a change his or her will, or make a one. In either case, the coercion must be such that if the willmaker could express his or her intentions they would say that the amended or new will was not their wish. In order for a willmaker to have capacity the willmaker must understand the nature of the act of making a will and the effects of it. However, in order to understand the nature of making a will and disposing of property the willmaker must be of sound mind. There are a number of factors which need to be considered when establishing that a willmaker did not have capacity to make a will. It is almost always necessary to have medical evidence in respect of the willmaker’s incapacity. the conduct of a favoured beneficiary towards a disinherited beneficiary after execution of the will. The Court needs to be satisfied that there were circumstances surrounding the execution of the will which excite suspicion that the will does not reflect the intentions of the deceased person. there has been a delay in proving the will or administering the Estate. These disputes are sometimes referred to as ‘Will disputes’ and not as a “challenge to a Will’. Challenging a Will – What next? If there are issues surrounding a will which with our extensive experience as Wills and Estates specialists, we can swiftly identify issues within your circumstance and provide you with accurate advice and estimations. If you have any doubt or questions, whatsoever, in regards to challenging a Will, contact our Wills Estates Probate specialists today as strict time limits apply to Will disputes.